If you enjoyed The Time Traveler’s Wife, this should be your next read! This book had been on my To Be Read list for what felt like forever! When I saw that it was being offered on NetGalley, I immediately requested it. I think I let out a little yelp of excitement when I received the email that I was approved for a copy. I started it right away and was quickly swept up in the this story. I love any book that can transport me to another time or another place without making me feel like it’s all hocus pocus. This story was believable which is shocking because it is in essence a love story about time travel! I loved the back and forth between time and all of the details the author added to make it seem like I was in each place. I loved the love story between Lux and Joseph and the slow way it unraveled. The love between Lux and her son Benno was beautiful and tragic. As a mother to two sons, I felt every emotion she felt. The story opens with Joseph in 1906 who is running a farm community in The Valley of The Moon. (Fun fact: My Grandparents currently live in Sonoma, and it’s nickname is The Valley of The Moon.) Joseph and his community experience an earthquake and shortly after a strange fog develops all around them. Anyone who enters this fog is killed within minutes, therefore they are trapped. Then we meet Lux, who is from 1975 era San Francisco. 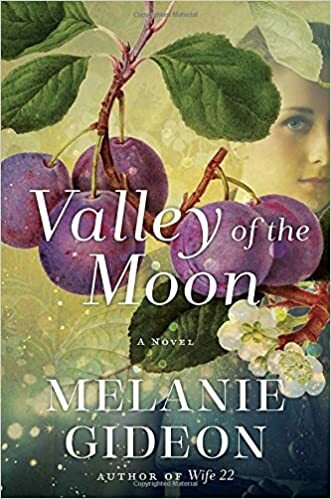 Her life is stressful and chaotic, so when her friend agrees to watch her son for the weekend, she decides to take a short camping trip alone to the Valley of The Moon. While camping, she suddenly wakes up in the middle of the night surrounded by the same fog. However, she is able to pass into the fog unharmed. This is where our story begins to pick up speed! I won’t say any more about the plot so I don’t spoil the journey for you. This was a great book and I highly recommend it. Below are links to purchase this one on Barnes & Noble and on Amazon. Previous Previous post: Stephen King’s new novel Sleeping Beauties out September 26. Get it Free!